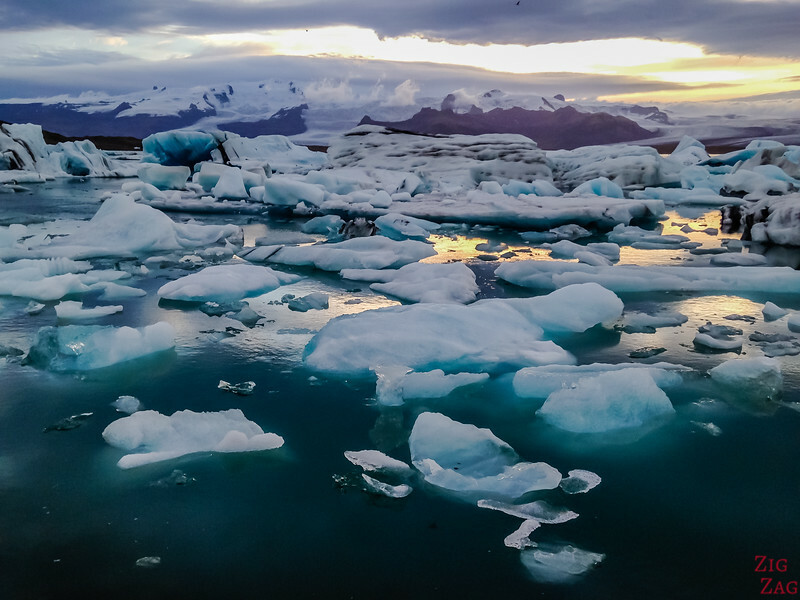 Plan your trip to the Jokulsarlon Glacier Lagoon Iceland, one of the most amazing locations in the country. 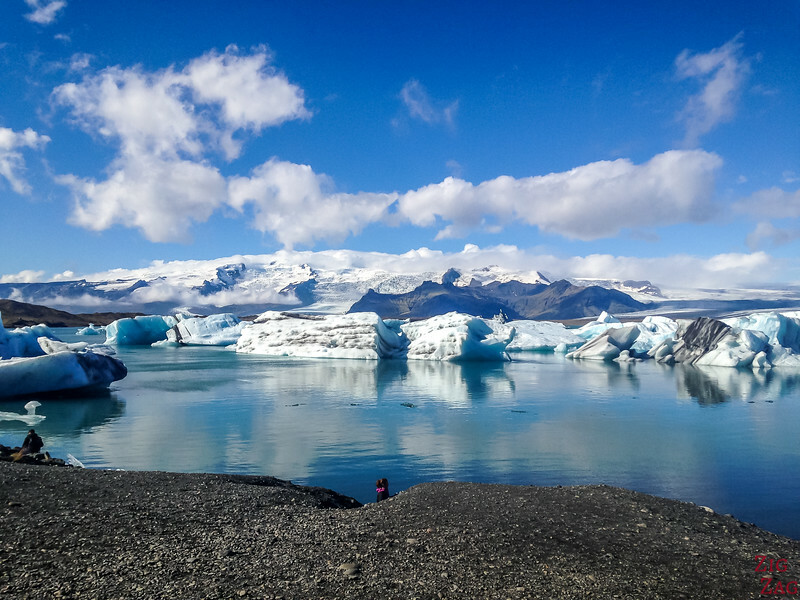 You can admire the glacier and the icebergs detaching from it floating towards the sea... A perfect location by any weather! 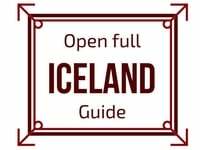 Here is a guide to help you plan your visit, and maybe add a Jokulsarlon Boat Tour or a visit to the Crystal Ice cave if traveling in Winter. 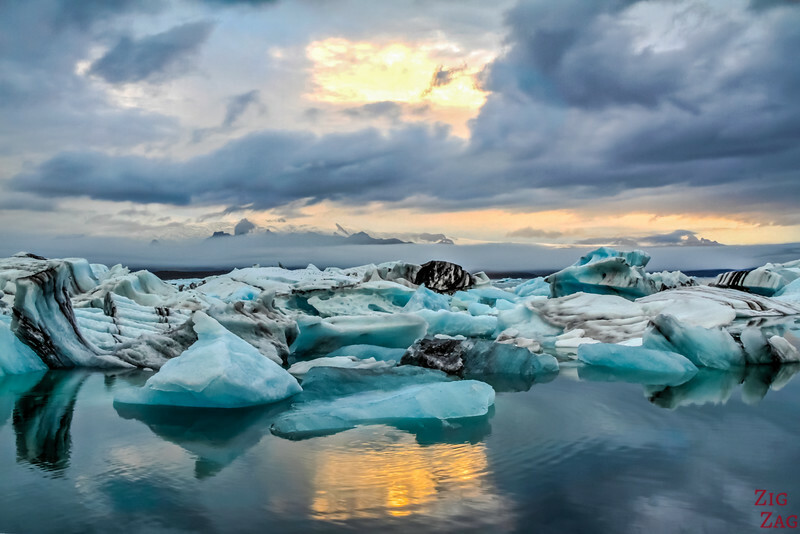 Jokulsarlon is a large lake that has been created by the melting ice from the glacier Breidamerkurjokull which is part of the huge Vatnajokull National Park. I know crazy names! 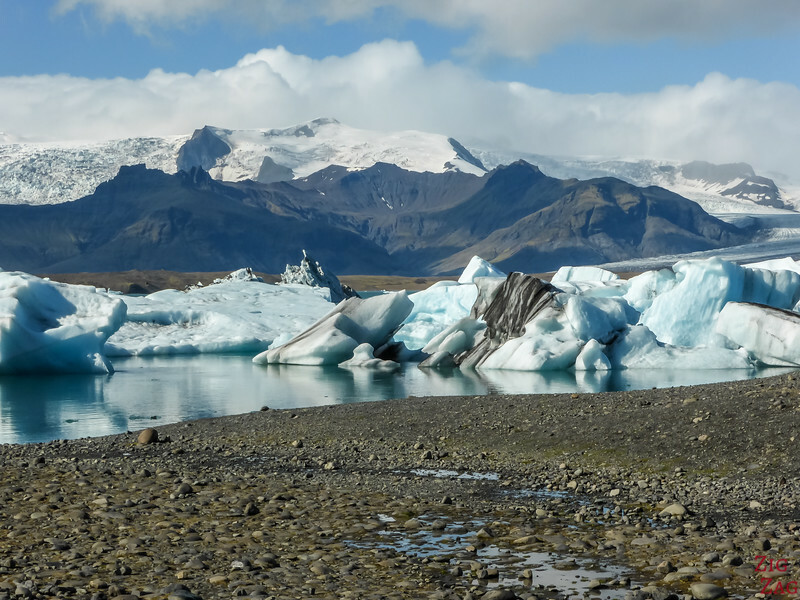 ...before we go further, you can check the pronunciation of ﻿Jokulsarlon﻿﻿ ﻿on Forvo (this will help you read the article lol). 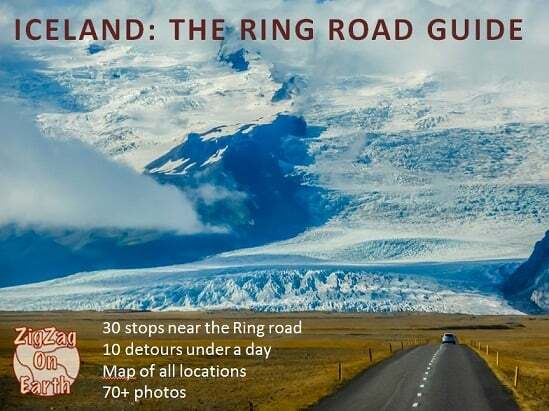 It is located on the South Coast of Iceland (see my Region Guide). Between Vik and Höfn, rich by Road 1 - see instructions to get there in further section. 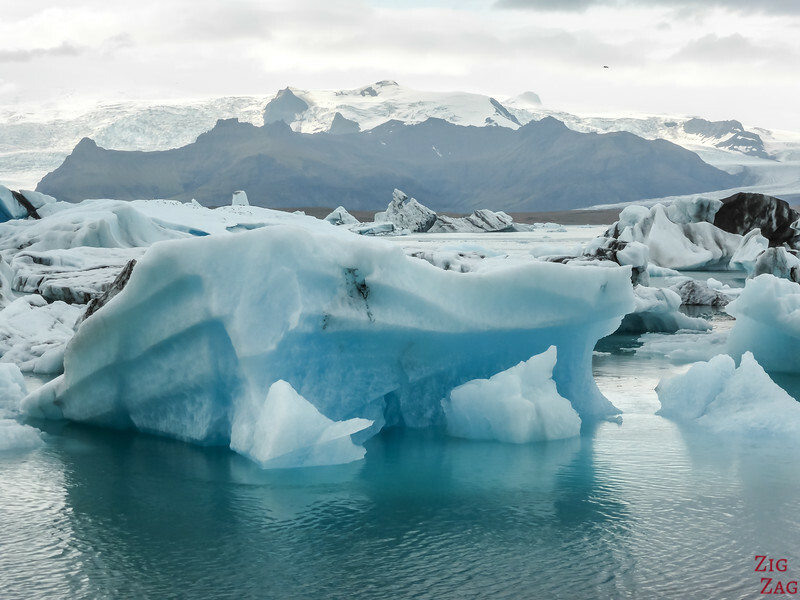 Today the Glacier Lake covers roughly 18km2 (just under 7 sq mi) which is 4 times bigger than in 1970! 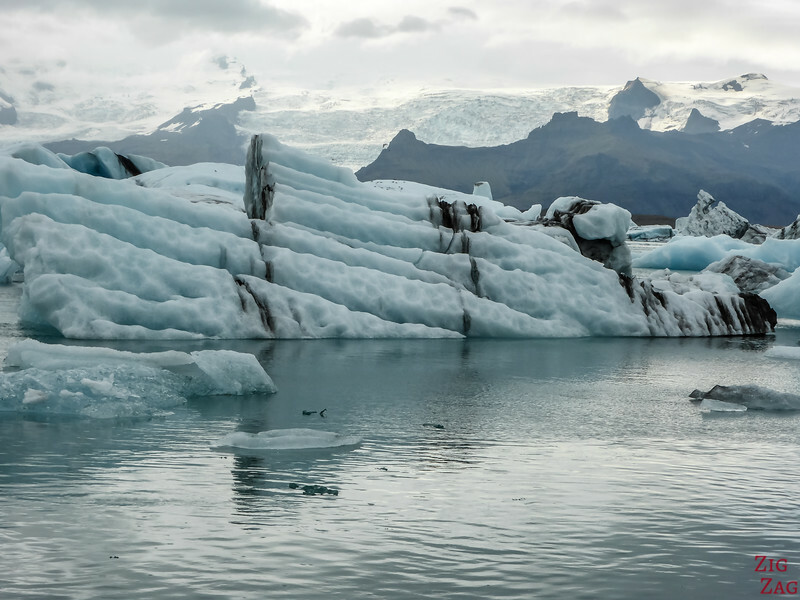 The best part is that icebergs frequently detach from the glacier and float on the lake. 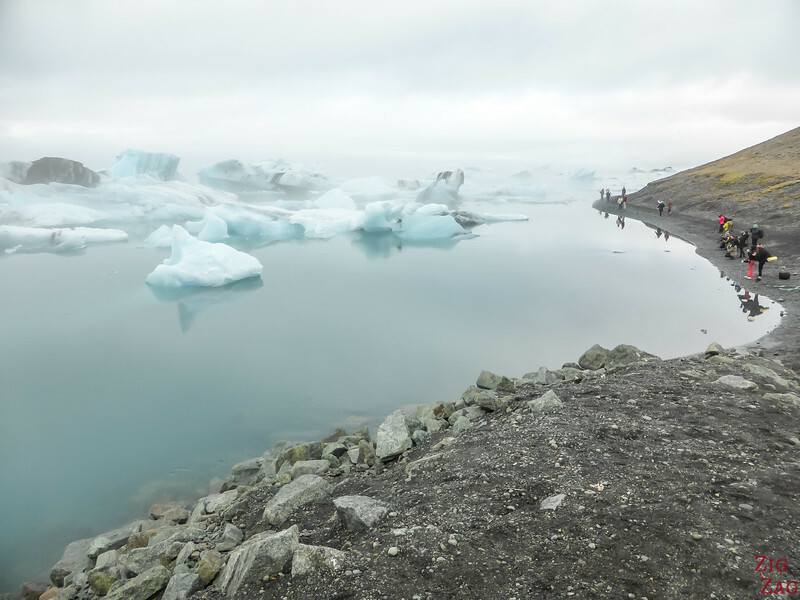 And some of them head towards the channel that links the glacier lagoon to the sea. 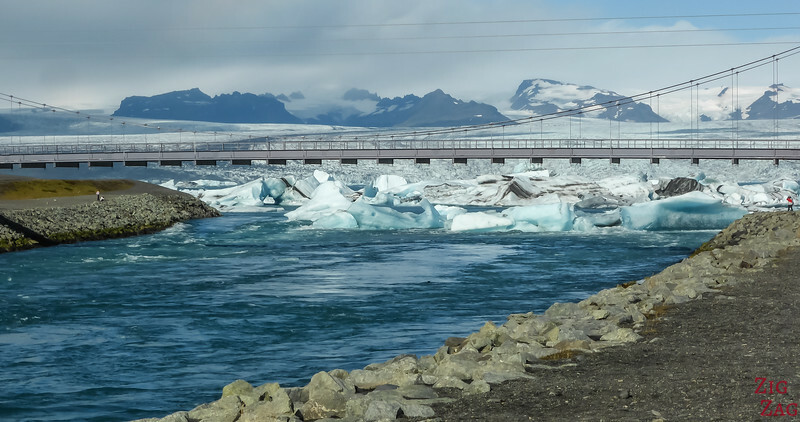 To build your anticipation, you also check out the Jokulsarlon Lagoon webcam ! 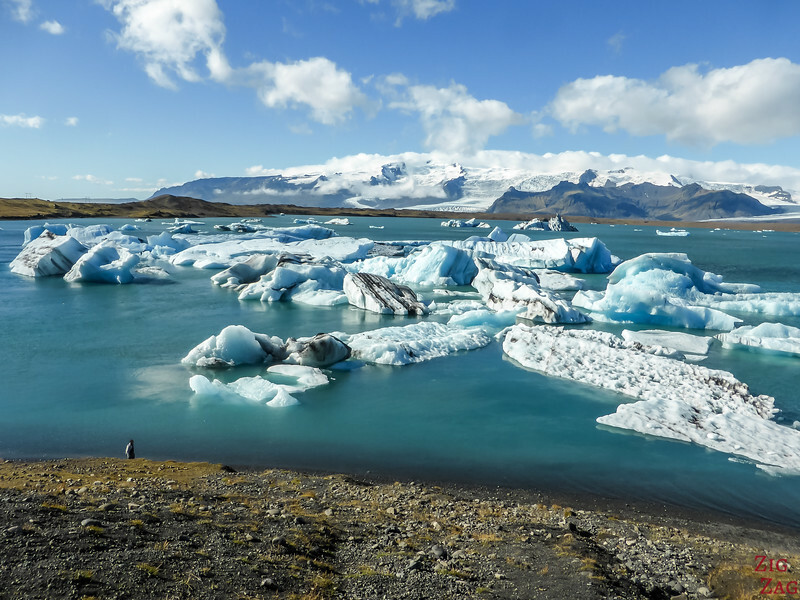 Compared to the other glacial lagoon Fjallsarlon, the Jökulsárlón glacier lagoon is bigger and more active, and thus far more touristic. 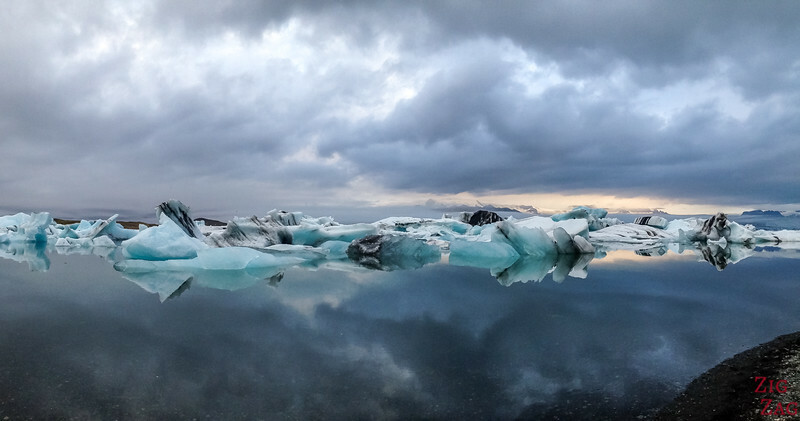 It is now the deepest lake in Iceland. 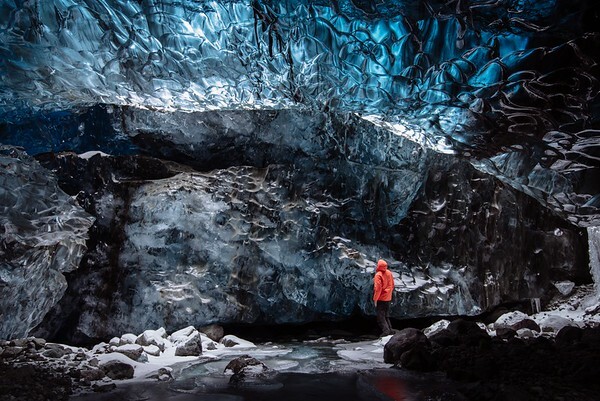 If you don't want to drive (especially in Winter), you can book a day trips to Jokulsarlon. The day will be long, with lots of time on the road but you won't get bored as the scenery is amazing and constantly changing. Plus the tour will stop at the amazing seljalandsfoss and Skogafoss waterfalls. And to get to SEE MORE and spend less time on the road your can book a 2 day trip along the South Coast. You will get to see so much, it is amazing! 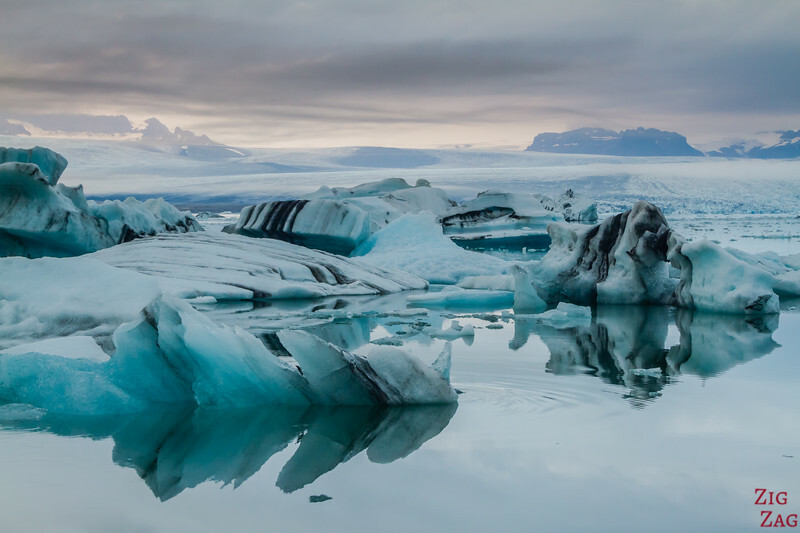 Some of the best landscapes in Iceland!!! There is no best time of the year to see the lagoon. It is always amazing and the water always flowing. 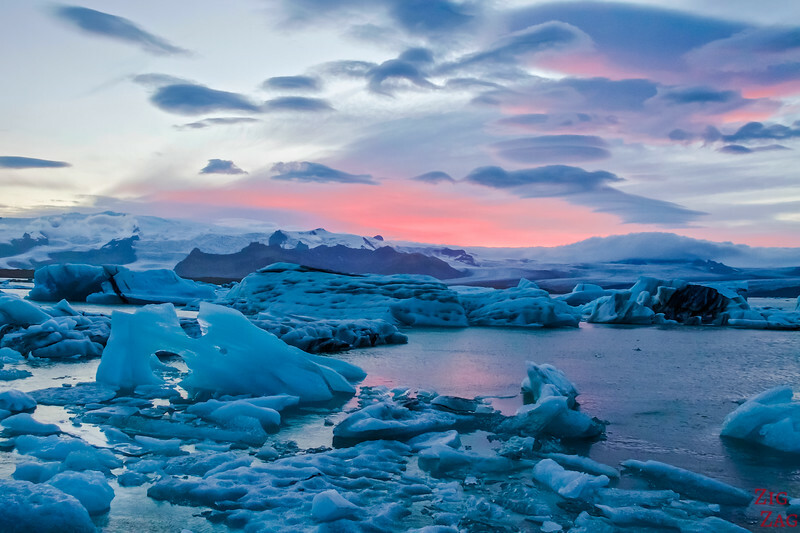 Like any places, Jokulsarlon is even more magical at sunset as the colors change. Of course the main activity is to walk by the lake shore and simply watch. 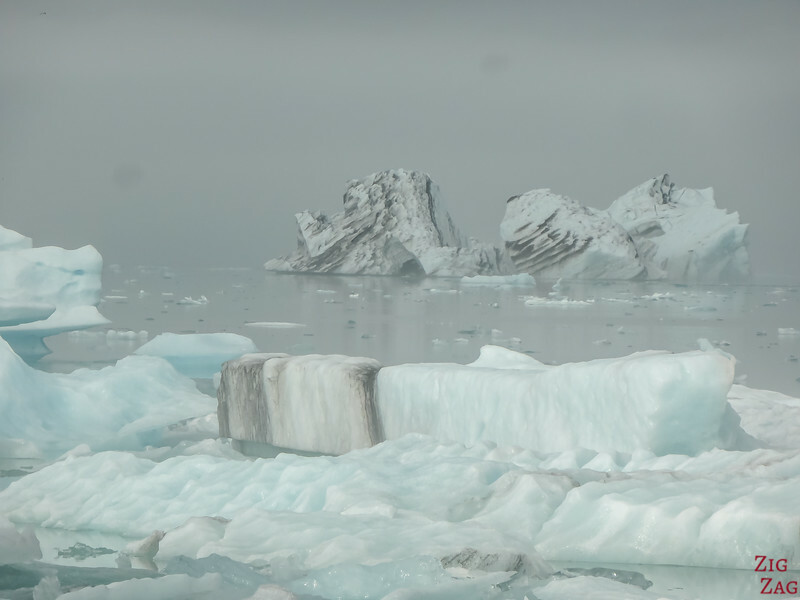 If you have binoculars, I recommend bring them to look at the icebergs, the glacier, and many at seals fishing around. 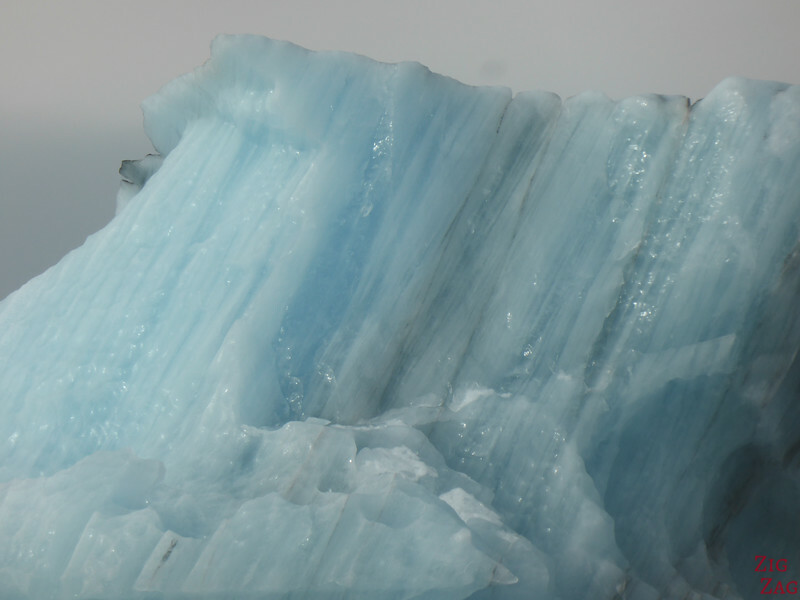 Spend some tims listening to the ice and you might hear a very loud noise when an iceberg separate from the glacier. Be sure to wait and watch the changes. 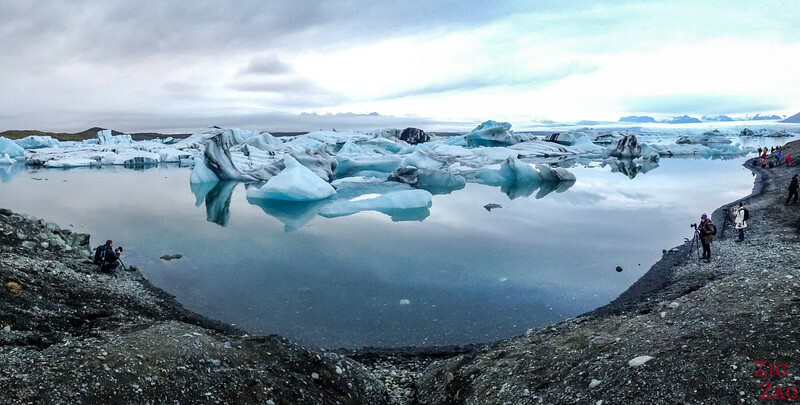 When the tide is high, icebergs are blocked in the Glacier lagoon Iceland. As the tides get lower, it is very impressive to see all those huge chunks of ice move quite fast towards the sea and sometimes break down. 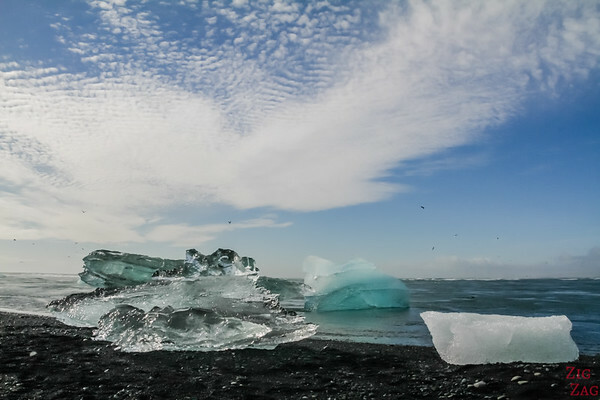 These icebergs float out to sea, and some of them get caught in the waves and wash up on the black sand of the nearby Jokulsarlon beach. I recommend bring binoculars to admire the texturer and details in the Icebergs. Another activity is to walk across from the bridge and discover the black sand beach called Diamond Beach. No there are no real diamonds there (sorry), but some icebergs gets pushed back to shore and shine like diamonds on the black sand. 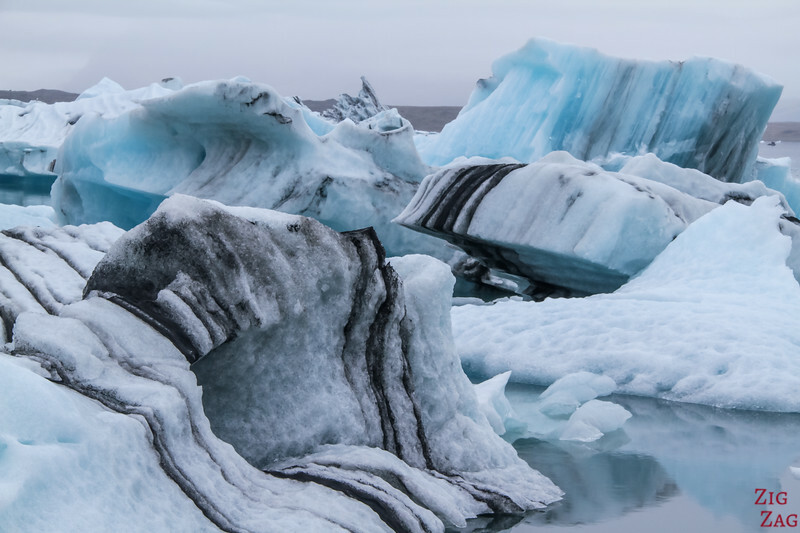 Wondering what the Jokulsarlon weather is? DON'T!!! The place is amazing whatever the weather. And anyway it changes every hour. 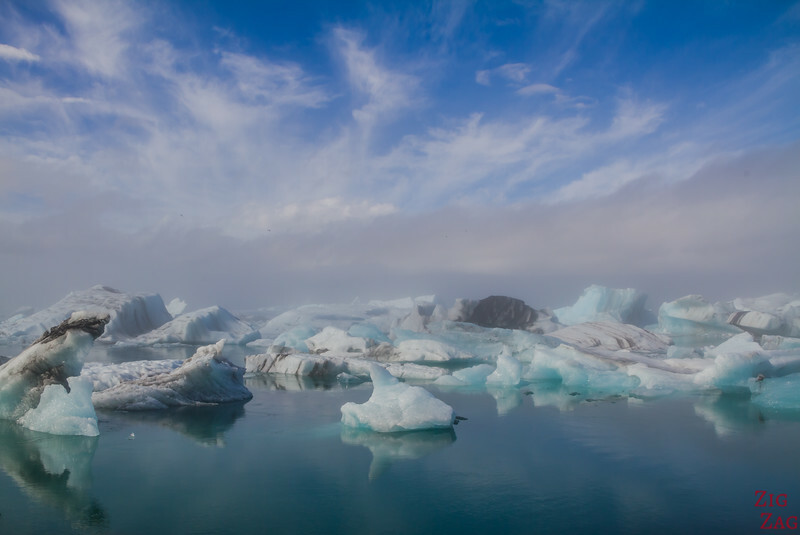 You never know the quantity and size of icebergs you will see floating in the lagoon. 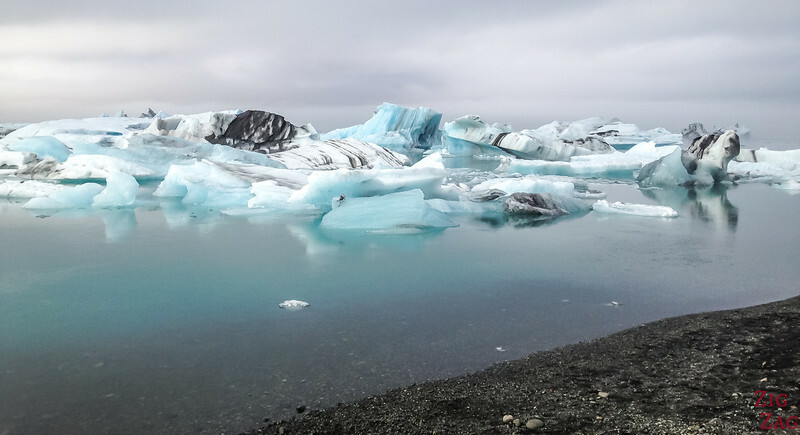 Sometimes if you are lucky, a big chunk detaches from the glacier and drifts in front of you. Don't forget warm clothes! 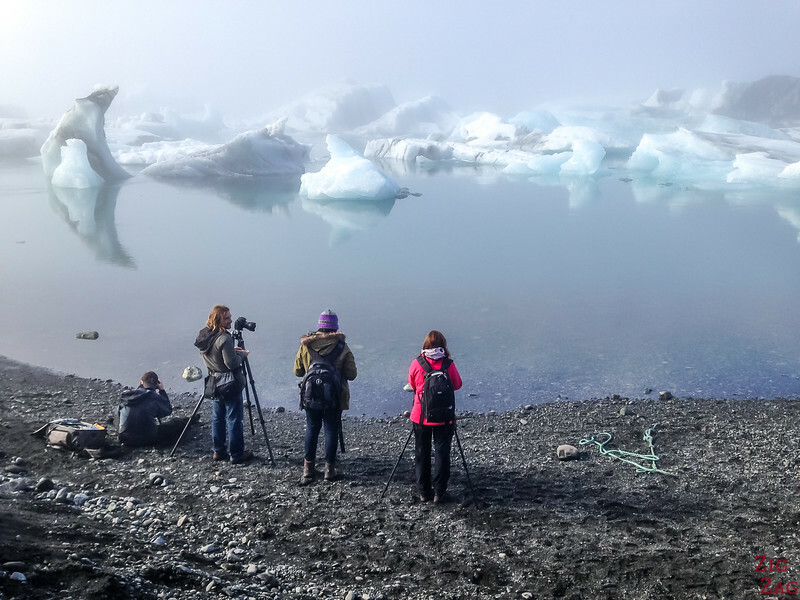 Check out my Iceland Packing guide for tips. I recommend having a powerful zoom to play with the icebergs. They are all different in shapes and colors. It is like looking for shapes in the clouds. I could have stayed hours admiring them. Some are pure white, some have black stripes and some are intense blue. See below, I even spotted the Titanic! Such an amazing place to photograph! I recommend having binoculars with you. 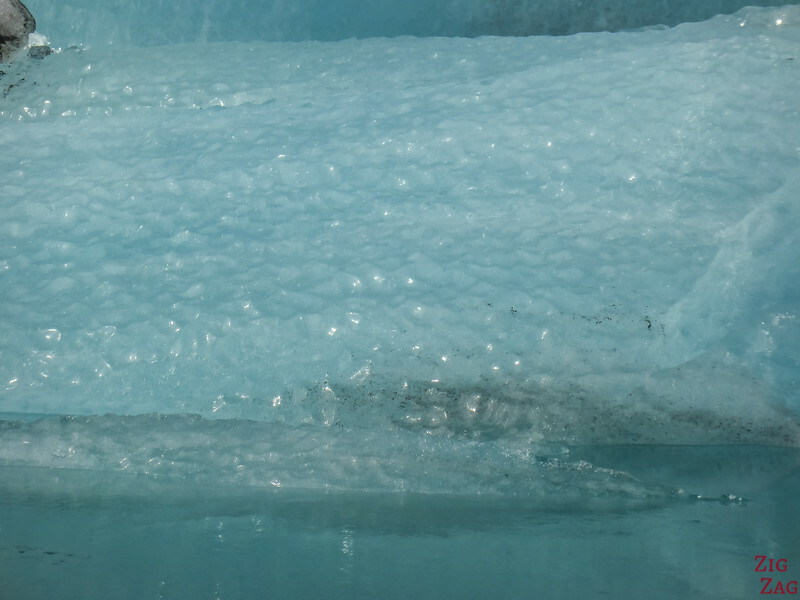 Even though the iceberg come close it is nice to be able to see all of them and see the details of the glacier tongue - check out my practical guide to finding your best travel binoculars. A very unique place, don’t you think?